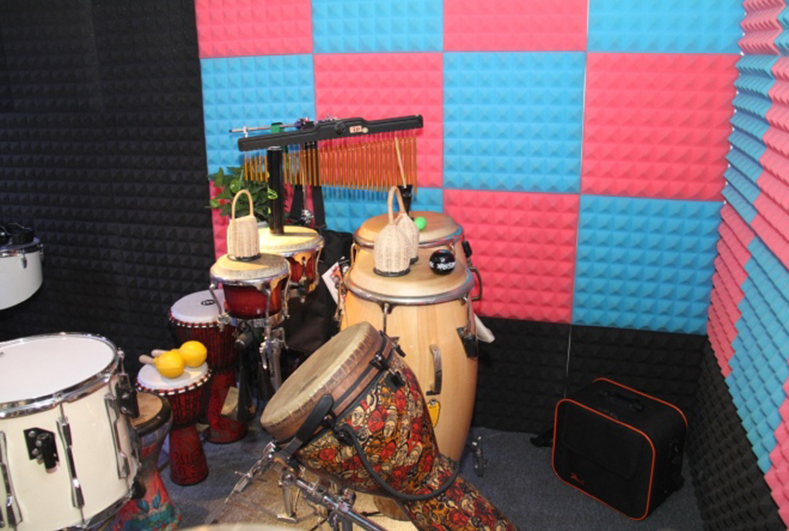 Pyramid cotton is one of the kind of sound-absorbing cotton, pyramid cotton has a beautiful appearance and good acoustic characteristics, it is characterized by: because of its four-cone shape, it also provides a little spread, which will make your voice more Have vitality. 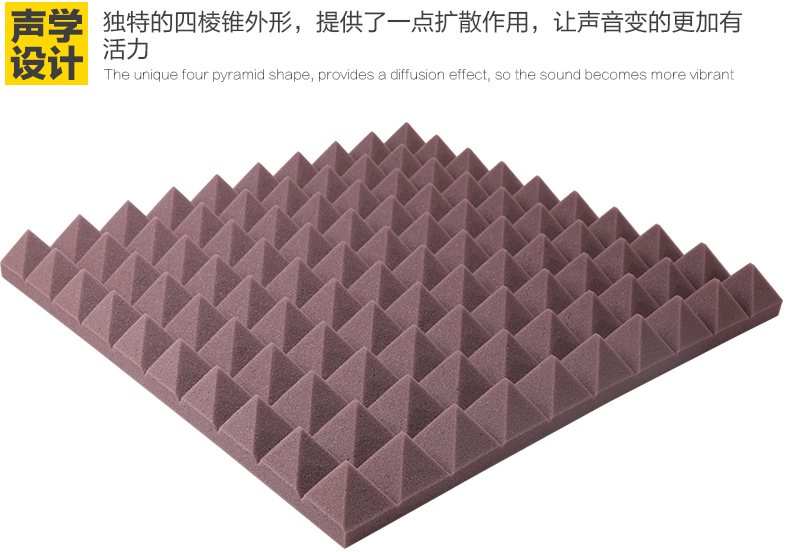 Pyramid is made of polyester sponge material through a unique device to form a square cone-shaped sound-absorbing cotton. 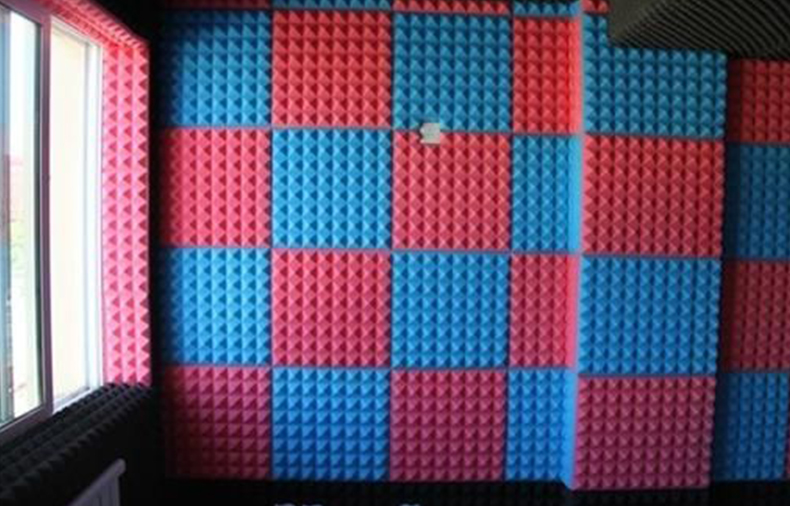 After the complex foam formed after the sound insulation, silencing, sound absorption, reduce the vibration of the sponge material. 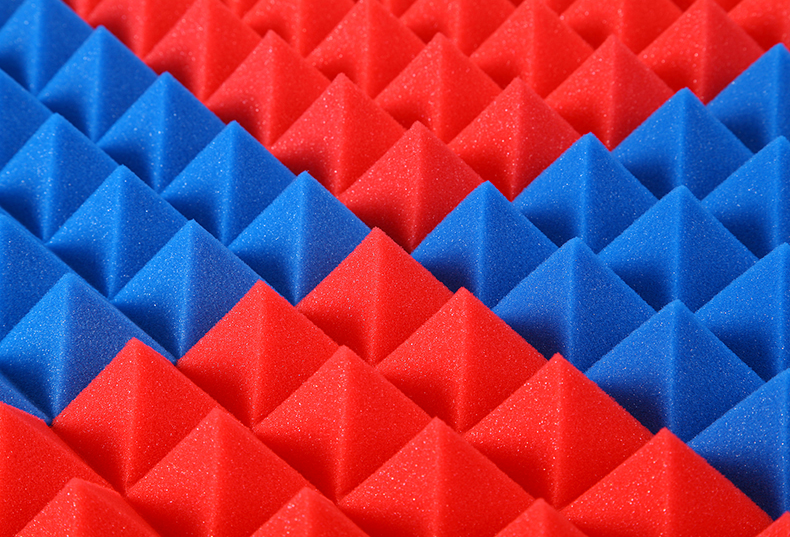 Its pyramid cotton filled with subtle voids and semi-open structure so that it can absorb the sound of the sound into the sound attenuation effect, reduce the sound waves in the indoor reflection of the interference and echo, to maintain the purity of the sound: noise absorption Materials of high-performance products. 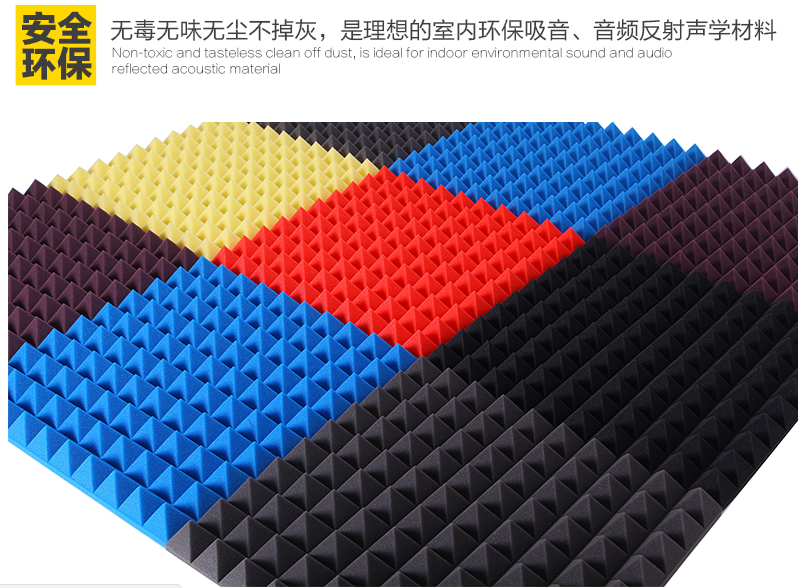 The main reason for the effect of sponge sound absorption is product thickness, product density and inside and outside the air flow resistance and so on. The air flow resistance is the ratio of the air pressure and the air flow rate on both sides of the material at the unit thickness. 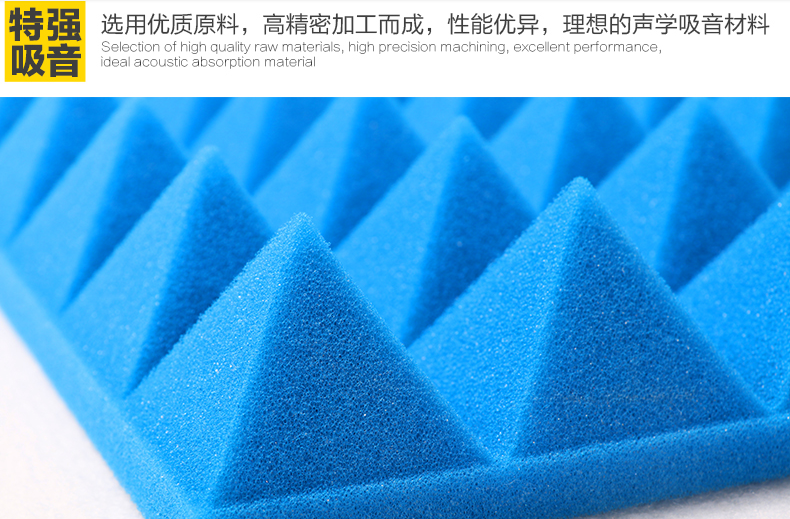 Air flow resistance is an important reason for the sound insulation performance of sponge. 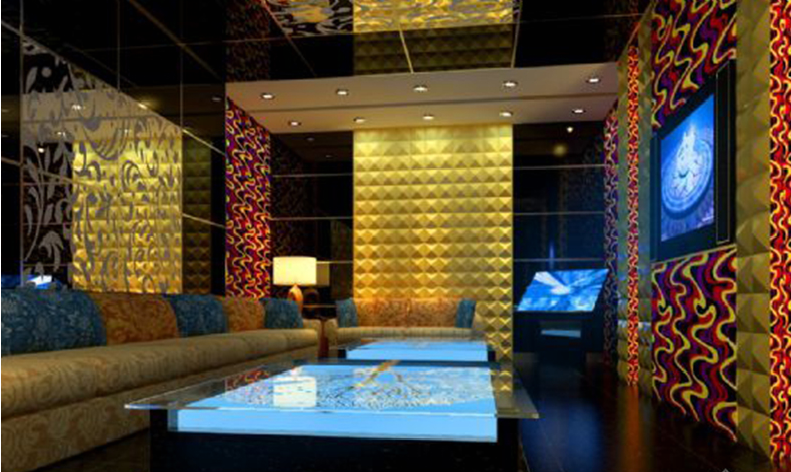 Flow resistance is too small, indicating that the material sparse, easy to pass through the air vibration, sound absorption performance; flow resistance is too large that the material is dense, air vibration is difficult to pass in, sound performance decreased. Sponge with a lot of internal and external Unicom pores and bubbles, when the sound waves into the waves which can cause air in the air vibration due to air viscosity resistance, air and hole wall friction, so that a large part of the sound energy into heat and be consumed, Plus the sponge of the convex wave shape, so that the remaining sound waves in the repeated refraction of the gradual reduction. In addition, when the air adiabatic compression, the air and the hole wall between the continuous heat exchange, due to the role of guidance, will make part of the sound energy into heat, so as to achieve the effect of sound absorption! The effect of sound absorption with the size of the hole there is the thickness of the whole cotton has an important relationship, too thin, then even if the sound can only absorb a small part of the other openings are not suitable for too large, too large will not sound Effect, too little resistance too much sound too hard, because the sound through the sound-absorbing cotton when the friction with the cotton will produce friction, the action will be the original sound buffer a bit, will reduce the penetration of the original sound, so the sound That still have a secondary effect, but the noise had to use a professional sound insulation cotton is more ideal! 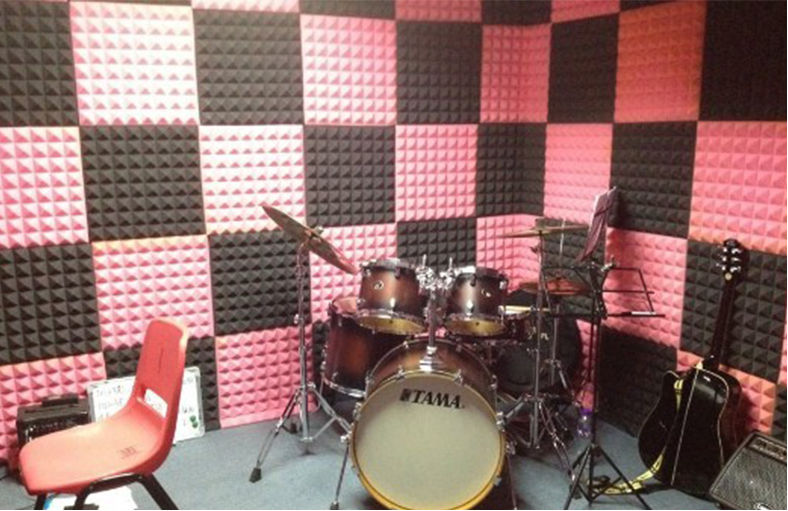 The sponge is non-toxic, tasteless, environmentally friendly, is the ideal indoor noise / sound absorption, audio reflective material; widely used in recording studio, studio, video room, audiovisual room, drum room, KTV, sound studio, Room, audition room, acoustic laboratory, conference room, studio, theater and other occasions, interior decoration, as well as the engine room silencer, generator silencers, speakers and other sound-absorbing silencer use. Thickness and density: pyramid cotton thickness is conventional 5cm. 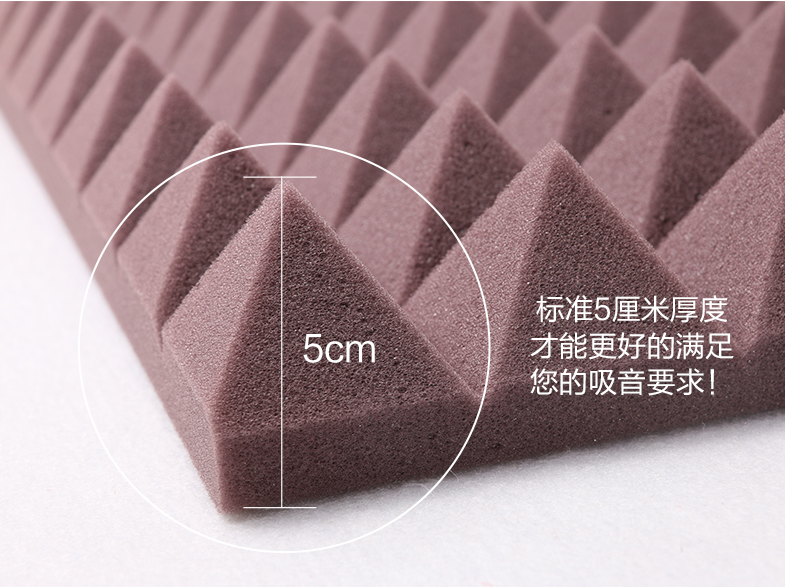 With the change in the thickness and density of the pyramid of cotton, the sound absorbing effect of the pyramid cotton is proportional to the thickness and density of the pyramid. Select the density of the time according to the actual use of choice. 1, the glue were evenly coated on the back of the sound-absorbing cotton and the wall, and so on 80% of the dry glue, the sponge up, a little hard to press. 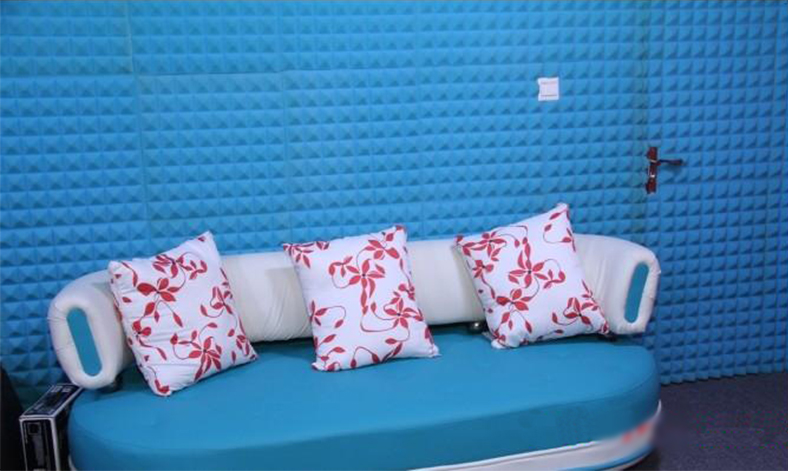 2, with a strong adhesive double-sided adhesive, attached to the cotton, the cotton paste on the wall can be pressed flat. 3, nail directly on the wall (note the size of the nail head).